Continuing this months HK dvd purchases, for part three a change of pace and a lightening of tone, yes it's comedy time. Come on, don't groan at me, I have to have some respite from all the hard boiled stuff! I ordered these next three discs to complete the Hui brothers remastered set about a week before learning of Ricky Hui's untimely death. The Contract and The Last Message I haven't seen but Games Gamblers Play, I reviewed earlier this year. I already had the remastered versions of The Private Eyes and Security Unlimited. Ronny Yu's The Occupant, a comedy ghost story starring the great pairing of Chow Yun Fat and Sally Yeh. 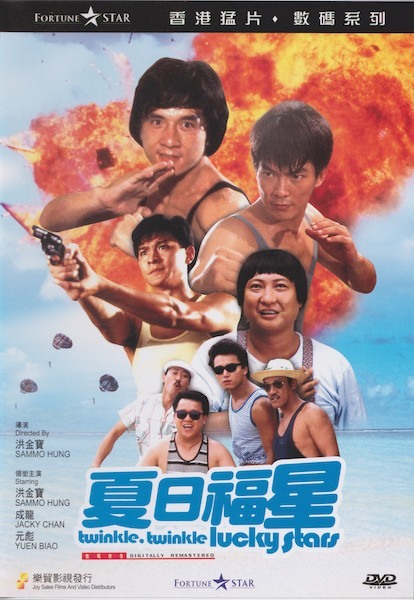 You can't have a list of Hong Kong comedies without Wong Jing, so next up is Boys are Easy. I've never seen the movie but the cast list is incredible, and that's just the girls, Brigitte Lin, Maggie Cheung and Chingmy Yau. Who is the other person you can't have a Hong Kong comedy list without? Eric Tsang of course and here he is with Wong Jing in the Shaw Brother's How to Pick Up Girls. Another great cast of girls including Maggie Cheung and Chingmy Yau again. Lastly for part three, Sammo Hung's Twinkle Twinkle Lucky Stars, No Wong Jing this time but Eric Tsang's still around. Back to the rougher, tougher stuff next time for this months final installment. Have you seen "Chicken and Duck Talk"? 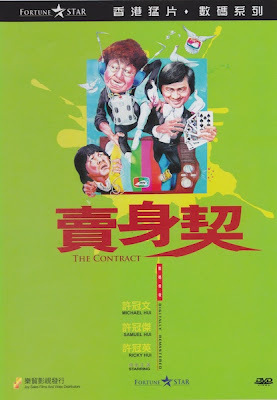 If not, would recommend it for more Ricky (and Michael -- with a cameo by Sam) Hui fun. Re "Boys Are Easy": It's another Hong Kong comedy that had me guffawing... I hope you didn't get the Mercury DVD. If so, can you let me know if the Triad Olympics and "musical bowling" scene are in there? I saw Chicken and Duck Talk, absolutely brilliant, the Hui brothers at their best. 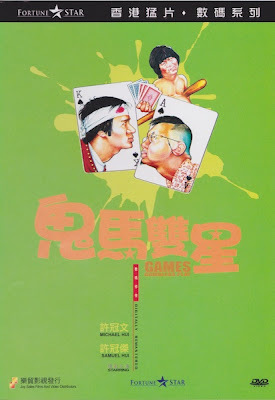 Speaking of which, I kind miss the Hui brother comedies. They were big hits from the 70's to the early 90's. 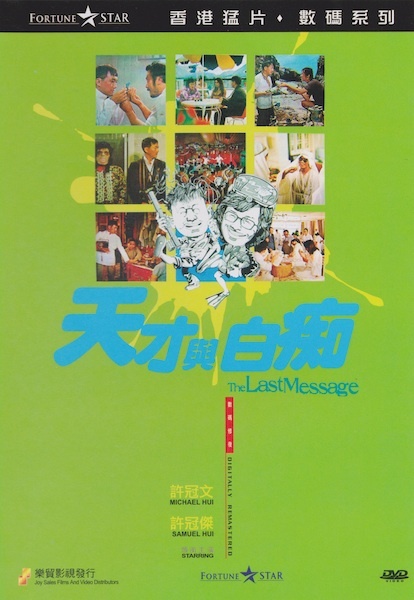 Not only many of those films hilarious, but they also captured a bit of Hong Kong social life of that era. You don't see that now with today's HK films. The Hui brothers also tend to be more family-friendly then Stephen Chow comedies, with less profanity or low-brow humour. Chow Yun Fat in a comedy? Wasn't Salley Yeh also in The Killer with him? I guess I'm just used to seeing him in action flicks or period dramas, I can't picture him in a comedy. And I remember Hung's Lucky Stars very fondly. If I'm not mistaken, I think here in the states it was just known as My Lucky Stars. Really great film with some great fight scenes. Hi YTSL, I love Chicken and duck talk, very funny! I think the only one I haven't seen is Front page which seems to be oop. As for Boys are Easy, I haven't checked personally but I have it on good authority the Tai Seng DVD is the full version. Anon. Such a shame. Chicken and duck talk is a real favourite. rG. Chow is a versatile actor who could do pretty much any kind of role and made a fair few comedies, good ones too. Sally Yeh doesn't act anymore. She concentrated on her singing career after those flicks in the late 80's and early 90's.